Background As part of a pilot randomised controlled trial examining the impact of personal melanoma genomic risk information on behavioural and psychosocial outcomes, GPs were sent a booklet containing their patient’s genomic risk of melanoma. Aim Using this booklet as an example of genomic risk information that might be offered on a population-level in the future, this study explored GP attitudes towards communicating genomic risk information and resources needed to support this process. Design & setting Semi-structured interviews were conducted with 22 Australian GPs. Method The interviews were recorded and transcribed, and data were analysed thematically. Results GPs in this sample believed that communicating genomic risk may become a responsibility within primary care and they recommended a shared decisionmaking approach to guide the testing process. Factors were identified that may influence how and when GPs communicate genomic risk information. GPs view genomics-based risk as one of many disease risk factors and feel that this type of information could be applied in practice in the context of overall risk assessment for diseases for which prevention and early detection strategies are available. They believe it is important to ensure that patients understand their genomic risk and do not experience long-term adverse psychological responses. GPs desire clinical practice guidelines that specify recommendations for genomic risk assessment and patient management, point-of-care resources, and risk prediction tools that include genomic and traditional risk factors. Conclusion These findings will inform the development of resources for preparing GPs to manage and implement genomic risk information in practice. Communicating genomic risk information is anticipated to become a responsibility within primary care but there is currently limited research evidence to guide this process. This qualitative interview study with GPs found that GPs recommend a shared decisionmaking approach to guide the testing process. Factors were also identified that may influence how and when GPs communicate genomic risk information. These findings will inform the development of strategies and resources for preparing the GP workforce to manage and implement genomic risk information in primary care. Complex diseases such as cancer are often associated with genomic risk factors that are common in the general population. If found to be acceptable, effective, and cost-effective, genomic information could be integrated into disease risk assessment, personalised prevention and risk-stratified screening strategies on a population level.1,2 However, high expectations for the future use of genomic risk information (that is, a person’s risk of disease based on common variation across multiple low to moderate penetrance genes) in clinical practice have outpaced translational research on how this new information should be provided,3,4 including the role of health professionals such as GPs. However, systematic reviews show that GPs have limited genomic knowledge and literacy, and low confidence in discussing genomics.11–13 These factors are often cited as key barriers to translating genomics into clinical practice14 and there has been a recent surge in efforts to prepare GPs for managing genomics in primary care. For example, in 2018 the Royal Australian College of General Practitioners released a resource, Genomics in General Practice, aiming to assist GPs in clinical decisionmaking regarding genomics.15 In the UK, there has been ongoing debate about how to prepare GPs for ‘generation genome’9,16 and the Royal College of General Practitioners recently released online educational and training resources on genomics for GPs.17 Innovative educational programmes and resources aimed at increasing physician knowledge about genomics are also on the rise in the US.18 In addition to knowledge and confidence, factors such as attitudes, expectations, and preferences may also influence how GPs communicate genomic risk information in practice.14 For example, clinician attitudes towards risk assessment and genetic testing have been found to influence patient decisions about undergoing testing and subsequent clinical management, such as breast cancer risk-reducing surgery.19–21 Further, offering genomic testing to the wider population involves a paradigm shift away from traditional genetic testing approaches, where a clinician would order a test when clinically indicated for a particular patient. The context that formed the basis of this study was a more population-based approach to screening and prevention informed by genomic risk information. Understanding GP views on their role in population-level genomic testing will enable better preparation of GPs for the communication of genomic risk information in primary care, but these views remain underexplored. This research gap was addressed by exploring Australian GP views and attitudes towards communicating genomic risk information and their preferences for tools and resources. An example booklet was used, presenting an individual patient’s personal genomic risk of melanoma as a basis for discussion about GPs potentially being involved in the offer of this type of evidence-based genomic test to the broader (otherwise heathy) population. 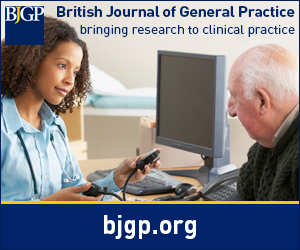 As GP attitudes are complex and evolving,14 qualitative interviews were used, which are recommended for the exploration of understandings, perceptions, and constructions of topics in which participants have a personal stake.22 These findings contribute much needed evidence to inform workforce preparation and further resource development for the appropriate expansion of genomics into primary care. A pilot randomised controlled trial was previously conducted in New South Wales, Australia, in which participants provided a saliva sample for genotyping and received their personal genomic risk of melanoma information in a hardcopy booklet; an educational booklet on melanoma prevention and early detection; and a phone call from a genetic counsellor (key findings have been published elsewhere).23–25 In the pilot trial, participants were asked whether they would like to have a copy of their genomic risk booklet sent to their GP, and this was elected by most participants (79%). Participants could also give written consent for the research team to contact their GP and invite them to take part in an interview. Other GPs were recruited via direct contacts or snowball sampling, which involved GPs who had already been interviewed sharing the participant information statement and consent form with other GP colleagues. There were no differences in the conduct of the interviews between GPs recruited via the pilot trial and those recruited via snowball sampling, except that the former were asked to describe any conversations they had with their patient regarding their genomic risk booklet. Interviews were conducted and recorded by a member of the research team in person or via telephone, and were professionally transcribed. GPs were provided with a sample copy of the personal genomic risk of melanoma booklet provided to participants in the pilot trial as a reference point for the interview discussion, but the interview content was broad and included all diseases. The interviews were structured by a discussion guide (further information available from the authors on request), which was developed from the literature12,14,22 and with input from the multidisciplinary research team, including GPs. The main topics covered in the interviews included the role of genetics and genomics in current practice, their thoughts on the genomic risk booklet, and their attitudes and expectations towards potentially providing personal genomic risk information (for various diseases, not limited to melanoma), and resources needed to support this process. Fifty-nine GPs were invited via the pilot trial participants, of whom 13 (22%) gave consent and participated in an interview. Nine other GPs who participated were recruited via snowball sampling or via direct contacts. About half of the GPs were female and the mean length of experience in general practice was 12 years. Interviews lasted on average 20 minutes (standard deviation 5 minutes) and most were conducted via telephone. Below are the key themes that relate to GPs’ experience with genomics-based disease risk information in practice, their attitudes towards potentially providing this type of information to the general population, and their preferences for future tools and resources, including their views on the personal genomic risk of melanoma booklet provided to participants in the pilot trial. No differences in themes or patterns in ideas were observed between GPs recruited via the pilot trial and those recruited via snowball sampling. These findings demonstrate that GPs perceived themselves to be future communicators of genomic risk information and supported a patient-centred approach to guide this process. Several considerations have been identified that may influence how and when GPs communicate genomic risk information to patients. GPs view genomics-based risk as one of many disease risk factors and feel that this type of information could be applied in practice in the context of overall risk assessment for diseases for which prevention and early detection strategies are available. They believe it is important to ensure that patients understand their personal genomic risk and do not experience long-term adverse psychological responses. GPs also strongly desire clinical practice guidelines that specify recommendations for genomic risk assessment and patient management, evidence-based point-of-care resources, and risk prediction tools that include genomic and traditional risk factors. Over half of the GPs in this study were recruited via participants in the pilot trial and others were recruited via snowball sampling. Therefore, the views that have been explored are likely to be limited to GPs with a specific interest in this topic. This was an exploratory study, and therefore the discussion was broad and covered a range of genomic tests for various diseases. Nevertheless, a wide range of viewpoints were explored that are important for the development of resources from which GPs may benefit in the future. As the reference point for the interviews was an evidence-based genomic test and the corresponding genomic testing results in a booklet, the focus of most discussion was on the communication of these results and potential broader implications (rather than how GPs may decide to offer certain tests to patients). Future research could examine how GPs decide to offer genomic tests based on population-based criteria as opposed to individual-level clinical indications in clinical practice. Overall, GPs in this study viewed genomics and genetics as specialist areas that are highly technical and complex. They attributed this perception to their limited confidence in discussing genomic risk and in explaining complex risk information in general. This view is comparable to studies on GP views towards genetic testing for higher penetrance variants. A study by Puryear et al in the US found that GPs described themselves as ‘gatekeepers’ to genetic testing but did not feel confident in this role because it conflicted with their responsibility for maintaining a broad skillset required for primary care.33 Other studies have found that GP attitudes depend on how they perceive genetic testing in relation to their primary care responsibilities.34 This study found that GPs were supportive of explaining genomic risk information to patients as part of overall risk assessment for preventive care, which they described as a key responsibility. This also depended on the clinical utility of genomic risk information, however. Despite their concerns, GPs felt that genetic counselling should be offered only to patients receiving high-risk results as opposed to offering genetic counselling to all patients who undertake genomic testing. Triaging the provision of pre- and post-test genetic counselling according to level of risk or susceptibility to adverse psychological reactions is a potential strategy that is less resource-intensive than current approaches. Biesecker et al found that a web-based platform compared to in person consultation was non-inferior in relation to generating knowledge of recessive inheritance, test-related distress, and decisional conflict, and thus proposed reserving in person genetic counselling for health-threatening results.37 Ormond et al have proposed three levels of communication in the genomic testing process that could be delivered by non-genetics clinicians, depending on patient characteristics and clinical judgment: brief communication (with a clinician), targeted discussion (with the ordering clinician), and traditional genetic counselling (with a clinician with genetics expertise).38 The present study's findings suggest that GPs would be willing to adopt such triaged communication approaches for the provision of genomic risk information. In summary, several factors have been identified that may guide revisions to existing resources and the development of future resources. These include addressing GP concerns about adverse long-term psychological impacts of providing genomic risk information, providing support on optimal methods to explain probabilistic disease risk information, point-of-care tools and resources, and providing education on the relevance of genomic risk information within the broader context of GP responsibilities, for example in preventive care. These findings inform the further development of resources and tools aimed at preparing the GP workforce, addressing information needs and facilitating the appropriate management of genomics in primary care. This study received funding from Sydney Catalyst Translational Cancer Research Centre and The University of Sydney Cancer Strategic Priority Area for Research Collaboration (SPARC) Implementation Scheme. AKS received a Research Training Program (RTP) Stipend Scholarship and a Merit Top Up Scholarship from the University of Sydney, and a Top Up Scholar Award from the Sydney Catalyst Translational Cancer Research Centre. AJN receives support from Sydney Medical School (Research Accelerator Award, 2017-18). AEC received Career Development Fellowships from the National Health and Medical Research Council of Australia (NHMRC; 1147843) and Cancer Institute NSW (15/CDF/1-14). Ethics approval was obtained from The University of Sydney (reference number: 2017/163). Freely submitted, externally peer reviewed. The authors thank the Master of Public Health student for assistance with the coding of transcripts. (2013) Public health genomics and personalized prevention: lessons from the COGS project. J Intern Med 274(5):451–456, doi:10.1111/joim.12094. (2013) Public health implications from COGS and potential for risk stratification and screening. Nat Genet 45(4):349–351, doi:10.1038/ng.2582. (2018) Social and behavioral science priorities for genomic translation. Transl Behav Med 8(1):137–143, doi:10.1093/tbm/ibx052. (2017) Barriers and facilitating factors for implementation of genetic services: a public health perspective. Front Public Health 5:195, doi:10.3389/fpubh.2017.00195. (2018) Projecting the supply and demand for certified genetic counselors: a workforce study. J Genet Couns 27(1):16–20, doi:10.1007/s10897-017-0158-8. (2016) Consumer perceptions of interactions with primary care providers after direct-to-consumer personal genomic testing. Ann Intern Med 164(8):513–522, doi:10.7326/M15-0995. (2018) Consumer use and response to online third-party raw DNA interpretation services. Mol Genet Genomic Med 6(1):35–43, doi:10.1002/mgg3.340. (2018) Physicians' perspectives on receiving unsolicited genomic results. Genet Med 21(2):311–318, doi:10.1038/s41436-018-0047-z. (2017) Genomics in routine clinical care: what does this mean for primary care? Br J Gen Pract 67(655):58–59, doi:10.3399/bjgp17X688945. (2014) Genetics and primary care: where are we headed? J Transl Med 12:238, doi:10.1186/s12967-014-0238-6. (2018) Adopting clinical genomics: a systematic review of genomic literacy among physicians in cancer care. BMC Med Genomics 11(1):18, doi:10.1186/s12920-018-0337-y. (2015) Primary-care providers' perceived barriers to integration of genetics services: a systematic review of the literature. Genet Med 17(3):169–176, doi:10.1038/gim.2014.101. (2016) A systematic review of interventions to provide genetics education for primary care. BMC Fam Pract 17:89, doi:10.1186/s12875-016-0483-2. (2017) Primary care providers' cancer genetic testing-related knowledge, attitudes, and communication behaviors: a systematic review and research agenda. J Gen Intern Med 32(3):315–324, doi:10.1007/s11606-016-3943-4. (2018) Genomics in general practice (RACGP, East Melbourne). The Royal Australian College of General Practitioners . (2017) Genomics in general practice: generation genome. Br J Gen Pract 67(665):540–541, doi:10.3399/bjgp17X693533. (2018) Genomics. Royal College of General Practitioners . http://www.rcgp.org.uk/clinical-and-research/our-programmes/innovation/genomics-in-medicine.aspx. accessed 8 Feb 2019. (2018) Physician preparedness for big genomic data: a review of genomic medicine education initiatives in the United States. Hum Mol Genet 27(R2):R250–R258, doi:10.1093/hmg/ddy170. (2004) Impact of BRCA1/BRCA2 counseling and testing on newly diagnosed breast cancer patients. J Clin Oncol 22(10):1823–1829, doi:10.1200/JCO.2004.04.086. (2002) What does my doctor think? Preferences for knowing the doctor's opinion among women considering clinical testing for BRCA1/2 mutations. Genet Test 6(2):115–118, doi:10.1089/10906570260199366. (2018) Association of attending surgeon with variation in the receipt of genetic testing after diagnosis of breast cancer. JAMA Surg 153(1):909, doi:10.1001/jamasurg.2018.2001. (2013) Successful qualitative research: a practical guide for beginners (Sage, London). (2018) Distress, uncertainty, and positive experiences associated with receiving information on personal genomic risk of melanoma. Eur J Hum Genet 26(8):1094–1100, doi:10.1038/s41431-018-0145-z. (2017) Does personalized melanoma genomic risk information trigger conversations about skin cancer prevention and skin examination with family, friends and health professionals? Br J Dermatol 177(3):779–790, doi:10.1111/bjd.15744. (2017) A pilot randomised controlled trial of the feasibility, acceptability and impact of giving information on personalised genomic risk of melanoma to the public. Cancer Epidemiol Biomarkers Prev 26(2), doi:10.1158/1055-9965.EPI-16-0395. (2010) Research methods in health: foundation for evidence-based practice (Oxford University Press, Melbourne). (2006) Using thematic analysis in psychology. Qual Res Psychol 3(2):77–101, doi:10.1191/1478088706qp063oa. (2012) in APA handbook of research methods in psychology. ed Cooper HM (American Psychological Association, Washington, DC) ed, pp 57–71. Thematic analysis. (2008) Naturalistic inquiry and the saturation concept: a research note. Qual Res 8(1):137–152, doi:10.1177/1468794107085301. (2017) Reflexivity in qualitative psychological research. J Posit Psychol 12(3):311–312, doi:10.1080/17439760.2016.1262615. (2001) Qualitative research: standards, challenges, and guidelines. Lancet 358(9280):483–488, doi:10.1016/S0140-6736(01)05627-6. (2014) Standards for reporting qualitative research: a synthesis of recommendations. Acad Med 89(9):1245–1251, doi:10.1097/ACM.0000000000000388. (2018) Patient and provider perspectives on the development of personalized medicine: a mixed-methods approach. J Community Genet 9(3):283–291, doi:10.1007/s12687-017-0349-x. (2010) Family history in primary care: understanding GPs' resistance to clinical genetics — qualitative study. Br J Gen Pract 60(574):e221–e230, doi:10.3399/bjgp10X501868. (2016) The impact of communicating genetic risks of disease on risk-reducing health behaviour: systematic review with meta-analysis. BMJ 352:i1102, doi:10.1136/bmj.i1102. (2010) Effects of communicating DNA-based disease risk estimates on risk-reducing behaviours. Cochrane Database Syst Rev 10(10), doi:10.1002/14651858.CD007275.pub2. CD007275. (2018) Web platform vs in-person genetic counselor for return of carrier results from exome sequencing: a randomized clinical trial. JAMA Intern Med 178(3):338–346, doi:10.1001/jamainternmed.2017.8049. (2018) Developing a conceptual, reproducible, rubric-based approach to consent and result disclosure for genetic testing by clinicians with minimal genetics background. Genet Med doi:10.1038/s41436-018-0093-6. (2015) Do health professionals need additional competencies for stratified cancer prevention based on genetic risk profiling? J Pers Med 9(5):191–212. (2006) Shared decision making and decision aids — a literature review. Aust Fam Physician 35(7):537–540. (2018;) National strategies for implementing shared decision making. https://www.bertelsmann-stiftung.de/fileadmin/files/Projekte/Patient_mit_Wirkung/VV_Studie_National_Strategies_SDM_en_final.pdf. accessed 18 Feb 2019 . (2018) A clinical decision support tool to predict cancer risk for commonly tested cancer-related germline mutations. J Genet Couns 27(5):1187–1199, doi:10.1007/s10897-018-0238-4.